Oh that crazy John Locke. Again, a book you can’t put down because it’s crazy fast and fun. 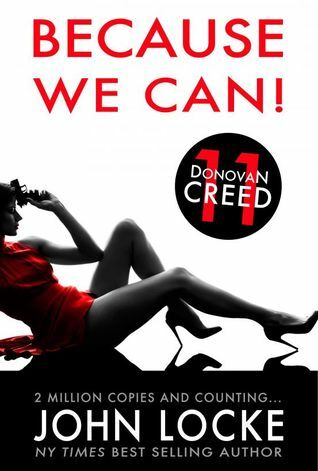 You have to love Donovan Creed even if he’s a cold-blooded killer. He’s just so … I don’t know… lovable. Don’t get me wrong: in real life someone like Creed would scare the living lights out of me. But as a character in a book, he’s just human enough that you might feel endearment for him for one second until you read the next sentence, but he’s funny and intelligent and has no fear. But he’s completely and utterly insane. The story is still excellent, keeps you guessing or completely at a loss but wanting to find out what’s happening. It’s written in the first person when it’s Creed’s point of view which is fun because he had a relationship with his readers, he talks to them directly. When it’s another character’s p.o.v., it’s in the third person. It’s great. It’s not serious or emotional. It’s funny and zany and querky. You don’t have to read the books from 1 to 11 to appreciate them, but I strongly suggest you do. This entry was posted in Uncategorized and tagged assassin, Callie Carpenter, Donovan Creed, Gideon Box, John Locke by Phoebe Sean. Bookmark the permalink.